This Animoto review is not intended for the video expert, although even pros with advanced skills can use a template from time to time. Rather, I’m writing for people like me who want to make pretty videos without spending a crazy amount of time. In the past year, I have made over 70 videos using a variety of tools (most in Animoto) so this article is based on a lot of hands-on experimentation. As back story, I was looking for a video tool because before finding Animoto, I did not have much experience and was feeling down-in-the-dumps after monkeying around for many hours on some slide shows, only to produce a lousy product. All that time was wasted. So, when a friend introduced me to Animoto, my thought was: Baby, where have you been all my life? 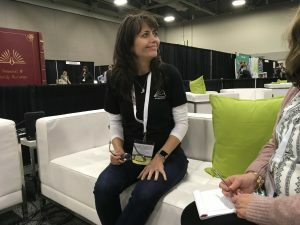 This year at RootsTech, we interviewed Beth Forester from Animoto, who told us that the company’s founders created it to “democratize video,” in other words, to make video-making accessible to average folks like you and me. The founders have credentials including MTV and other big production houses. I think they’ve done a brilliant job. You get started with Animoto by creating an account online, then you use it online with your browser. This means it is always backing up and you don’t lose your work if it crashes. You do not have to download any software and a fast computer is not required. That was a big benefit to me because my laptop is 6 years old and crashes with other video processing software. The videos and your photos are all stored there in the Animoto service until you are ready to download or share the finished product. Animoto is a subscription-based service with a monthly fee. This allows you to make an unlimited number of videos, use their beautiful templates and access the songs in their music library. That matters because you can run afoul of music copyright laws if you grab songs from your music library and upload the videos to social media. Animoto Professional Subscription: $22 per month for an annual plan. Click here for 10% off an annual plan. (Note: there is a third “Business” level, but I doubt you’ll need it so I am skipping that. I have the Pro plan). Templates: The personal plan has fewer templates and music choices. Customization: The professional plan gives more ability to customize the templates, but for the record, I don’t think constraints in a template are bad. Their professional designers save us from ourselves because they make it beautiful without letting us run amok or layering up on the fancy. Remember early websites with a rainbow of font flavors? Still, if you like more design control, then spring for the pro plan. Voice narration: The biggest difference I see in the two plans is that the personal subscription does not allow you to narrate right into the slides. Click on this Animoto code for 10% off an annual plan. They also offer a free trial. 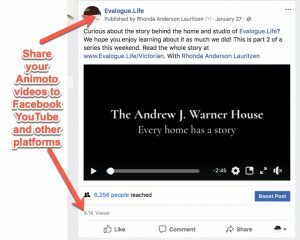 Disclosure – Evalogue.Life makes a commission if you sign up for Animoto using the coupon codes or Amazon links on this page. I really appreciate it if you do! Please know that I reached out to Animoto after using it for a year on my own paid subscription. I truly love the product. The main reason I love Animoto is their artistic templates. Their designers create gorgeous layouts with movement between slides. All of that is pre-built and you just drag and drop your content. Presto! Your video looks pro. Not only does it make the process slick and easy, but it avoids having your hard work turn out amateur. (As back story, often when I try to design something, it just looks off. Back in the day when my friends were making scrapbooks that were works of art, mine looked like construction paper and Elmer’s glue. I don’t have the gift). It only takes a minute to sign up. Above is a coupon code for 15% off, and here is a coupon code for a free trial of the pro plan if you want to give it a whirl. It bears repeating that this is a browser-based program so you don’t have to install any software and it will not hog the resources on your computer. Their servers do all the heavy lifting. That was a big selling point for me. I hope you will take my advice to draft a storyboard because it will save time and your video will be more compelling. Why? Because a storyboard encourages you to be intentional about the story and more concise: What is this about? What message do you want to convey? Next you need to decide which photos and video clips to use in your video and gather them together. Here is an overview of the process. Create a new folder on your computer or a flash drive to use as a holding place for photos and video clips. In your new folder, save duplicate copies of all the digital images you identified. If you do not have everything digitized already, you will need to do some scanning or sending pics out for professional digitization. I use my ShotBox a lot at this phase. A shot box is a slick, portable light box for taking high-quality images of photos, documents or heirlooms with a camera phone or iPad. If you want tips on how to digitize, check out this article. See the screen shot below for a visual of how the next step works. Once you have pulled together your pics and video clips in your folder, upload or drag and drop the images from your folder into Animoto. Next, you create custom slides in the Animoto template. Add text, narrate, and experiment by rearranging the order. Your finished videos have the most visual interest by mixing up photos, video clips, music, and text. 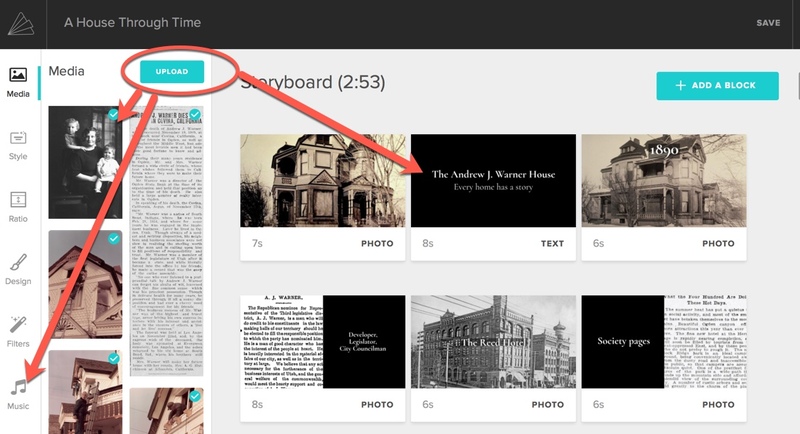 The Animoto template makes it easy to create slides, rearrange them, write captions, and piece the storyline together. You can do some photo and video editing right in Animoto too, trimming video clips and enhancing photos. This process is a lot of fun, and involves experimenting with the order, wording and design elements. You can preview your video any time you want. The template automatically makes the whole video aesthetically pleasing with movement and transitions. In more complicated video software programs, it takes a lot of time to stitch these elements together, and you run the risk of it looking hokey. Make a fun time lapse video clip using your phone’s camera. Time lapse works well to show “how to” or create a visual scene. Find royalty free photos from Unsplash. That said, these suggestions are if you have time to burn. When on a deadline, I have whipped out slideshow videos in about an hour, start to finish. 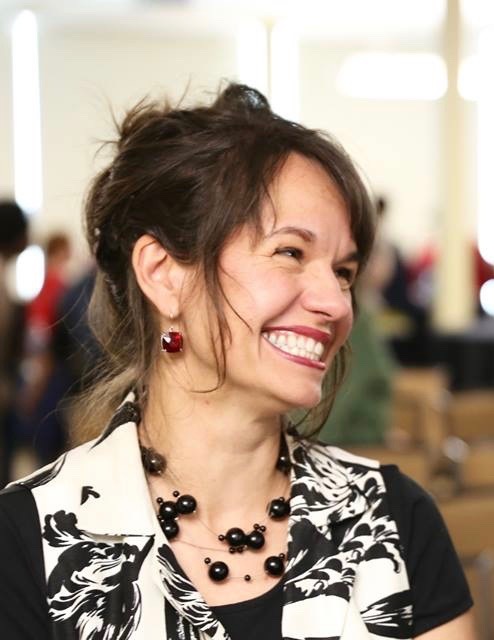 Are you using video clips that already have people talking? If so, the personal plan will work great and you do not need anything more. This video of my grandma’s Danish Dumplings is an example using the personal plan. It incorporates video clips that have people talking and no formal narration. Do you have an oral history audio clip you want to use? You can upload an audio track instead of choosing one of the songs in their music library. This is a good option if you have the personal plan. Click here to see a video I created by uploading an oral history audio track. You can record yourself speaking a script into a digital recorder or with a recording program on your computer. Then, you can upload the audio file instead of a music track. This is the same process as if you are uploading an oral history audio file. Technical note: if you subscribe to the personal plan and it is your heart’s desire to have both a voice track, and music, there is one more workaround. You can export your finished Animoto video into another program like iMovie and overlay a music track on top of it. It works, but is a bit of a pain. How to do that is beyond the scope of this article. So, in summary, if you really want voice narration, your best options are to use pay for the Animoto Pro plan or use Adobe Spark. If you want to narrate each slide, you’ll need the Animoto pro plan or use Adobe Spark instead. Adobe Spark is free to use, and this is one area where it has the edge on Animoto’s personal plan. 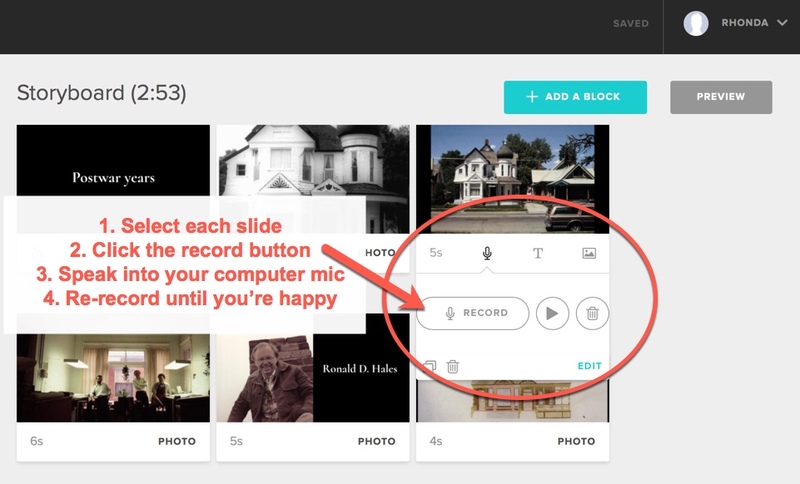 Below is a screen shot that shows how to narrate each slide right within Animoto (pro plan option). It is a super slick process because you don’t have to upload audio files, and you can record each short clip as many times as you want. I like breaking up the narration into short chunks because it is impossible for me to 3-minute narration flawlessly from start to finish. You can preview your video as many times as you want while you work. I usually preview it with different songs found in Animoto’s free music library until I am pleased with the mood. Oh, and as a rule of thumb, keep all videos under 5 minutes and less than 3 minutes if you can! I always do a lot of editing to trim the fat. This means deleting slides and paring down the text. People’s attention spans are short and they will not watch a long video. You are much better off to make 3 short videos than 1 long one. Once you are finished, you can save the video file to your computer’s hard drive, or a cloud service like DropBox or Google Drive. Now, share it on social media like FaceBook or YouTube. I highly recommend creating a FaceBook closed group for your family so your family can watch videos and comment without it being public. How to interact with social media is a topic for another day, but Animoto does make it easy to share. The important point is that you own the video files and can use them however you want. Animoto has no right to use or share them. I’ve had some glitchy issues using the voice narration feature with Apple’s Safari as my browser, requiring me to refresh the browser a lot. The Animoto tech support folks suggested I use Chrome as my browser instead. I have not yet tried it to see if that fixes the problem, but it makes sense that it would since a lot of websites have issues with Safari. Also, I have had some problems recording my voice and having it sound too digital, even though I was using a high end Blue Yeti microphone. Again, tech support suggested that using Chrome should solve this issue and I haven’t made a video since then. The voice narration feature has been around for a couple of years so they did not think the issue was due to any recent programming changes. The next time I try recording a video, I’ll update this Animoto Review to reflect my findings. Animoto review – Did I miss anything? I hope you found this Animoto review helpful. If anything was unclear or you have questions, leave a comment or message me. Give Animoto a whirl and let me know if you have need some help. Oh, and if you would rather hire someone, we make family history videos for clients all the time. We would love to help make your video or give you some one-on-one training. Contact me!